If you’ve ever researched the top attractions in and around Chiang Mai, Thailand, you’re likely to see a long list of temples, followed by a bunch of elephant and nature excursions. What you’re less likely to see, however, is Old Chiangmai Cultural Center, a performance restaurant that features the cultural dance and clothing of the Lanna (Northern Thai) Kingdom. Guest to Old Chiangmai have the option of floor seating around the main performance area, or table seating a bit further back. For my money, floor seating felt more authentic and provided a better vantage point for photography. While you wait to be served and for the evening entertainment to start, traditionally dressed staff make their rounds, providing necklaces made from orchid buds to patrons. The food at Old Chiangmai is pretty good and provides a nice variety of northern Thai food. 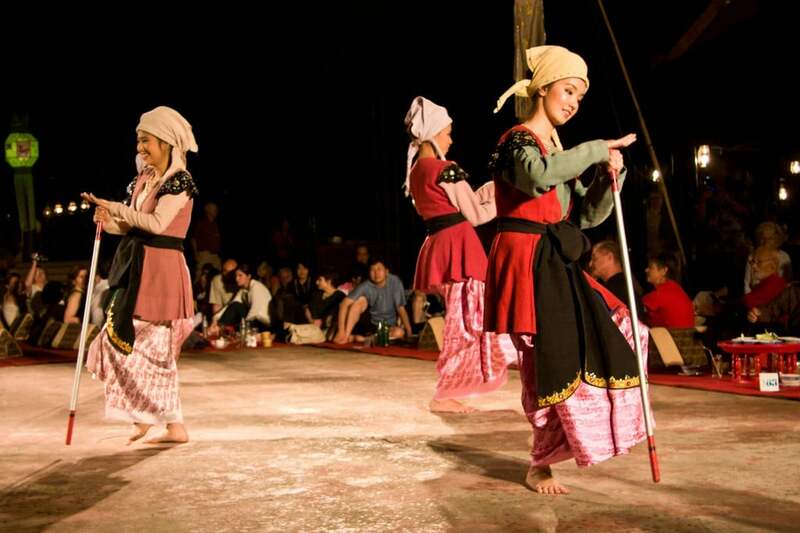 Where Old Chiangmai really shines, however, is in the entertainment. 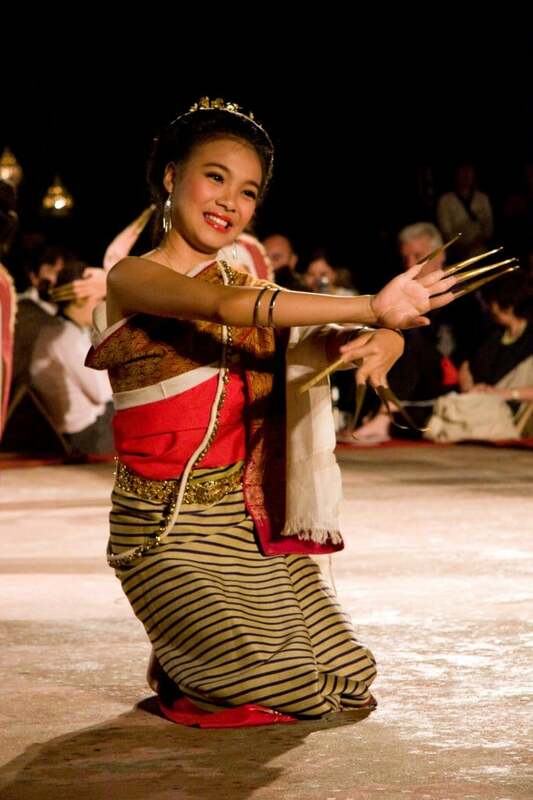 Cultural performers provide a variety of traditional dances from all parts of Thailand, opening with a nail dance that is typically performed to welcome guests of honor. 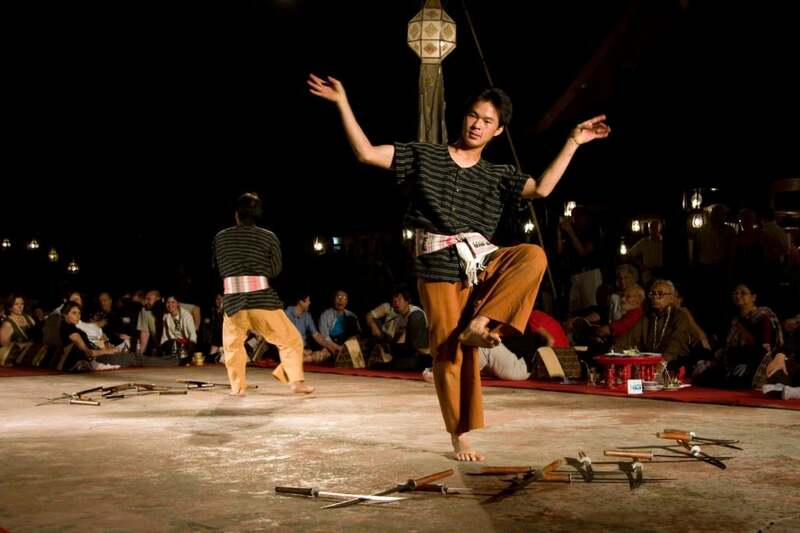 Throughout the evening you’ll experience exciting dances that features swords and fire, and slower Hill Tribe dances that mimic silk weaving or the slow gait of an elephant. Old Chiangmai is definitely on the touristy end. While I wouldn’t qualify Old Chiangmai as a “must see”, it’s worth a visit if time permits. Old Chiangmai Cultural Center is just south of the walled city on Wualai Road. The place always seems to be busy, so prior reservations are recommended.